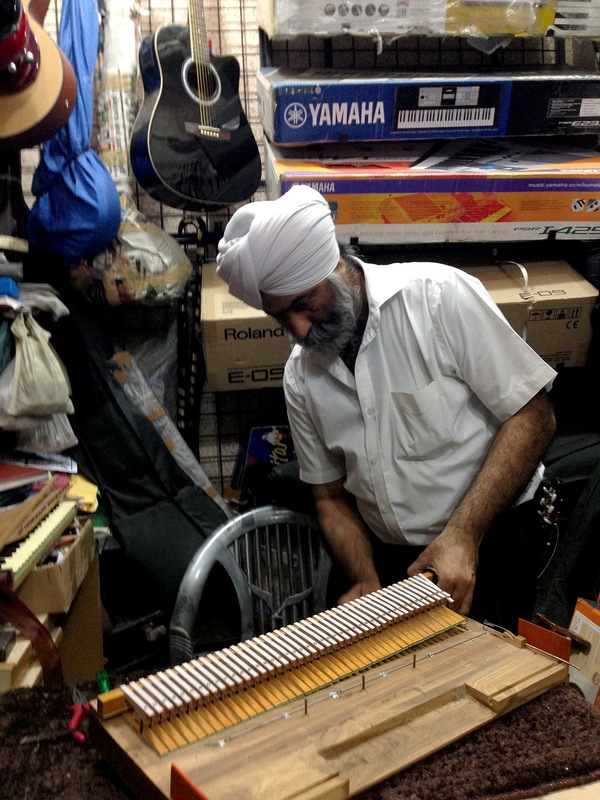 Bharat Music House is one of the famous music shop chains in Delhi. The main shop used to be one in the midst of many furniture shops on Panchkuiyan Road. With the infrastructure development that happened as a lead up to the Commonwealth Games, these shops have been shifted to the Gol Market area. Gurjit Singh Sokhi, the eldest son of Gyan Singh Sokhi, now plays host at the shop here while his dad sits at their Bali Nagar outlet. 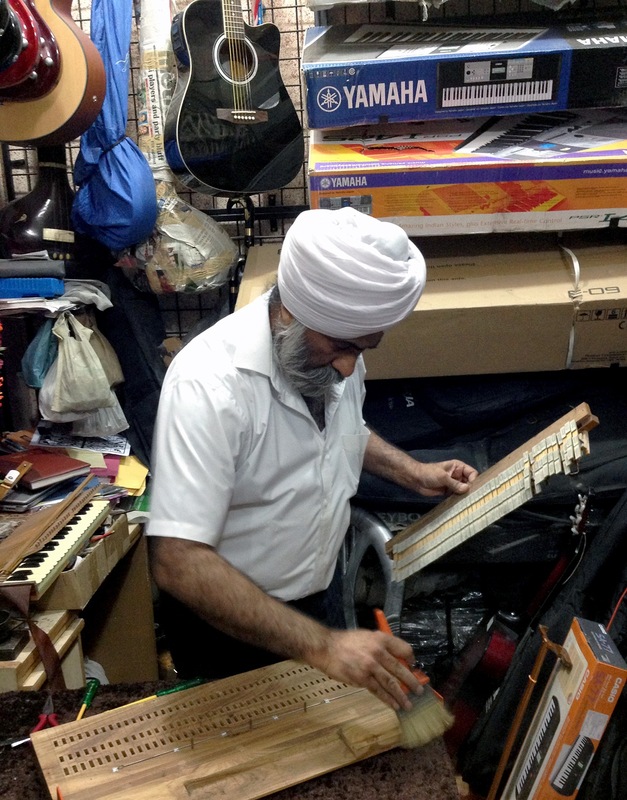 His youngest brother, Amarpal Singh, runs their third outlet at Lajpat Nagar called New Bharat Music House, which specializes in western music instruments. 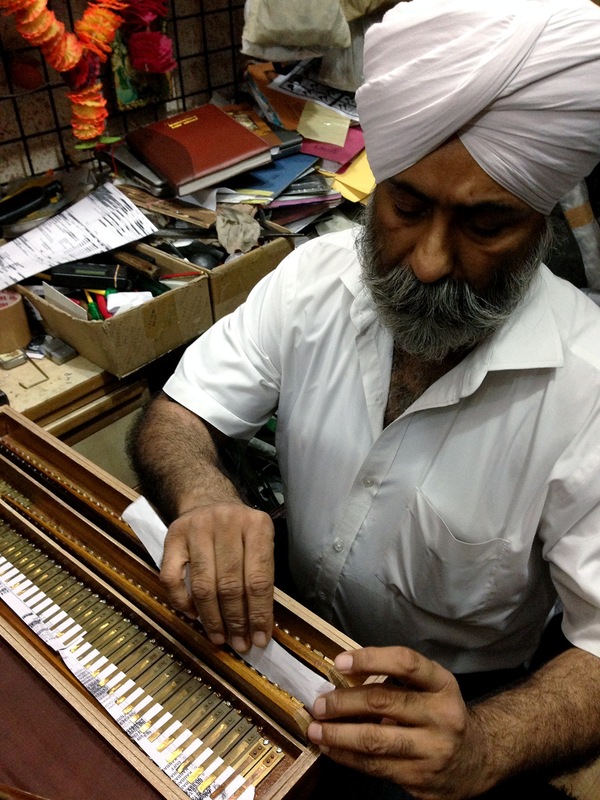 Several years ago, Gurjit had sourced three sets of French made harmonium reeds for me and sent them to a factory in Kolkata. 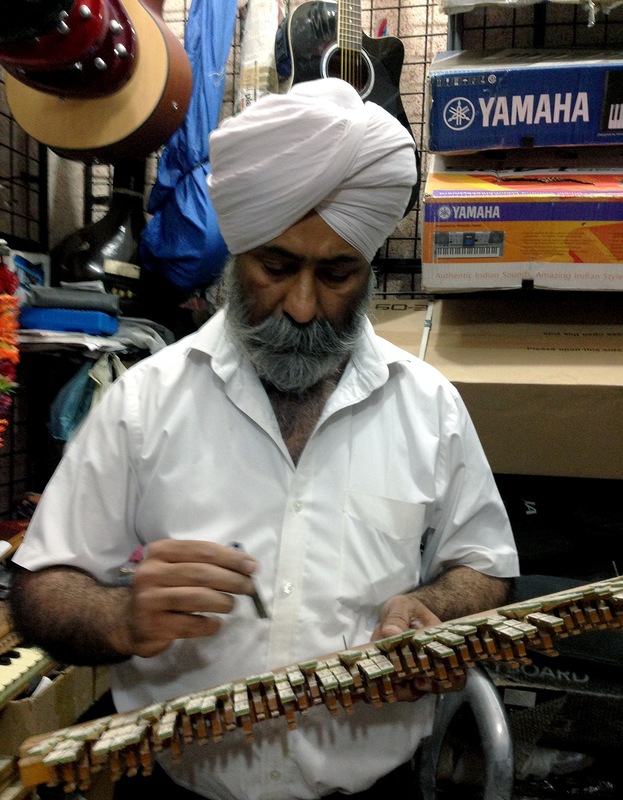 As the French or German reeds were made longer than the ones manufactured in India, the reed board needed to be custom made. 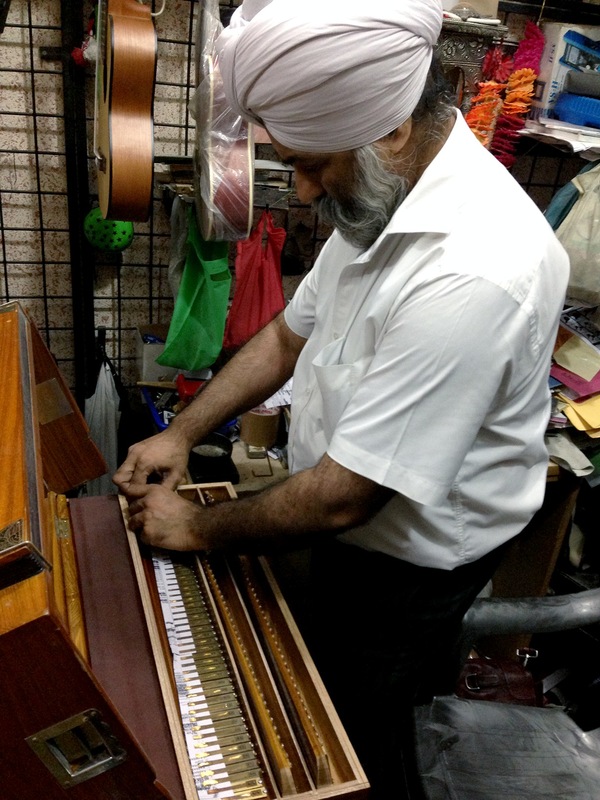 Eventually, I got a fine triple-set scale-changer harmonium. 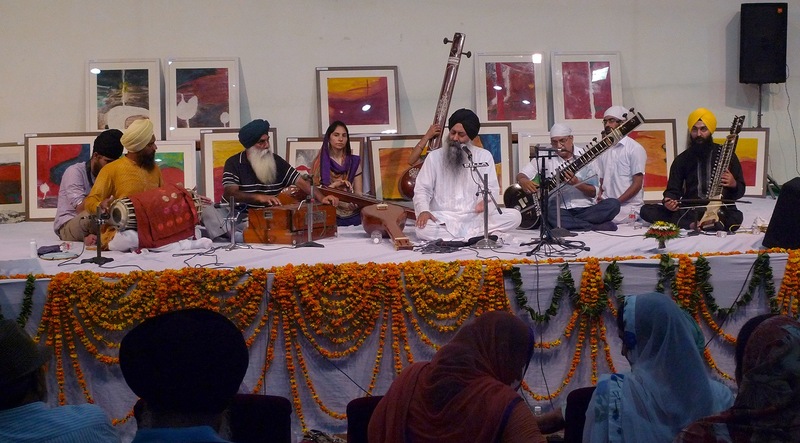 For the 31-raga Gurbani Kirtan performance at the Guru Nanak Dev University, Amritsar, I had requested Narinder Singh, staff at the Music Department to play the harmonium with me. 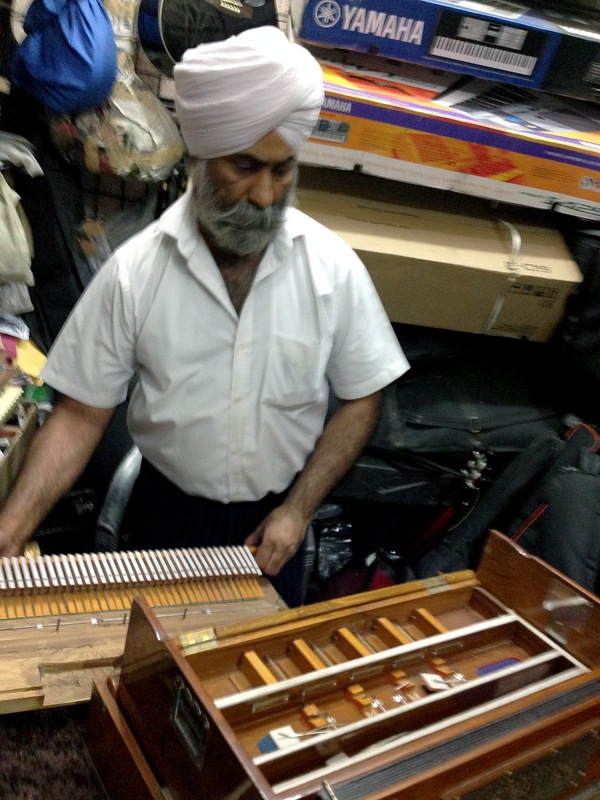 During the performance, Narinder’s fingers were dancing on the harmonium. It was a big surprise for many who have seen me perform over the years especially since 1999, when I finally had been freed from the jaws of this instrument. 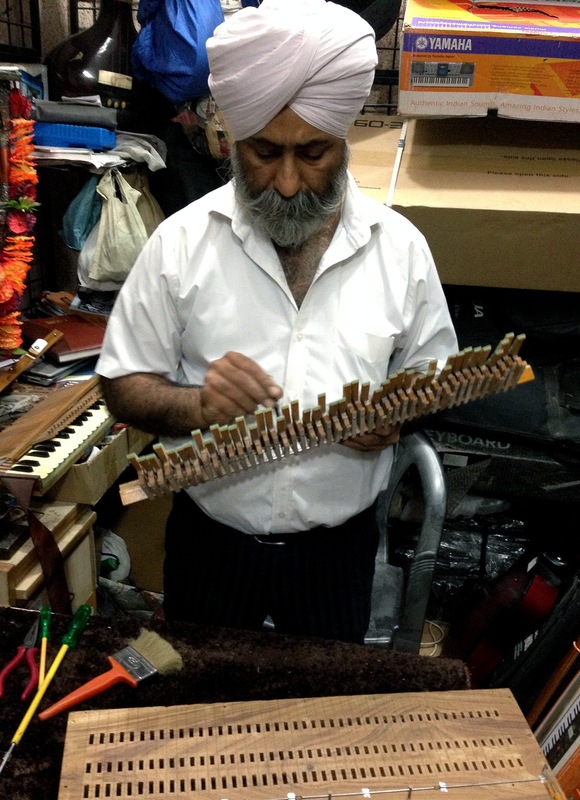 The purpose of having this instrument was to practically show how it is inadequate for use in Indian classical music. 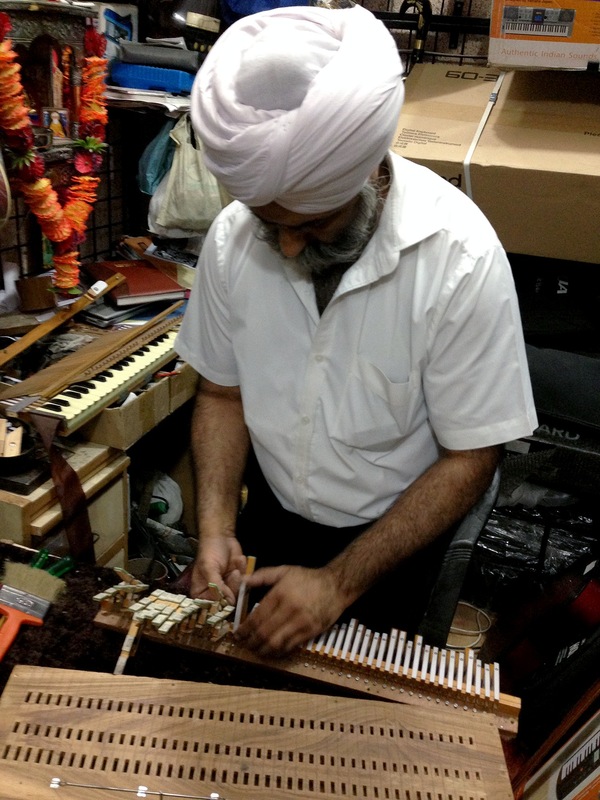 When I sang the very first raga sri I demonstrated the unique intonation of its komal rikhab svar (second flat) and asked my accompanist to emulate that note – the harmonium just could not. Likewise, I demonstrated various other notes which the “harm-o-nium” is not able to render.